I had heard the name, but had never seen him play, nor met the man. What an experience. Last week Maputo witnessed the humility and graciousness, never mind the music of one Omar Sosa. As one of the audience members captivated by his extraordinary performance, I thought I would try bringing his talent to the fore this week, in the hope that readers will go forth seeking out, listen and decide for themselves. Omar takes you on a musical journey and you just drift off, keyed into every note and nuisance. He comes dressed for the occasion. The entire 45 minute performance was an aural feast. Omar Sosa (Picture by Tom Ehrlich) was born in 1965 in Camagüey, Cuba’s largest inland city. At age eight, he began studying percussion and marimba at the music conservatory in Camagüey, Havana. As a teenager he took up piano at the prestigious Escuela Nacional de Música, and completed his formal education at the Instituto Superior de Arte in Havana. 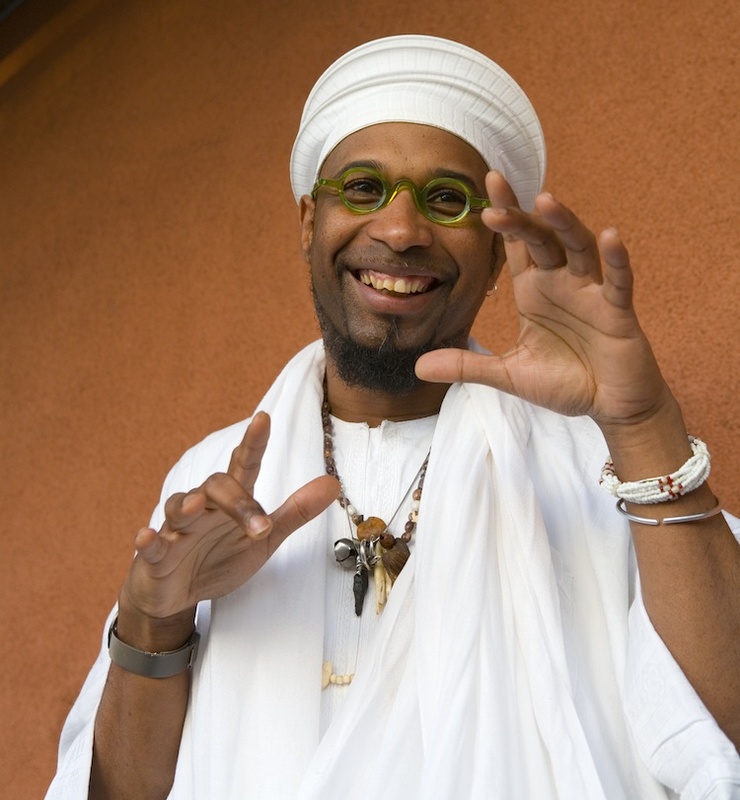 Among his influences, Omar cites traditional Afro-Cuban music, European classical composers (including Chopin, Bartok, and Satie), Monk, Coltrane, Parker, Oscar Peterson, Herbie Hancock, Chick Corea, Keith Jarrett, Chucho Valdés, and the pioneering Cuban jazz group, Irakere. Moving, in 1993, to Ecuador, Omar immersed himself in the folkloric traditions of Esmeraldas, the northwest coast region whose African heritage includes the distinctive marimba tradition. He relocated to the San Francisco Bay Area in 1995, and soon invigorated the Latin jazz scene with his adventurous writing and percussive style. Annually performing upwards of 100 concerts on six continents, Omar has appeared in venues as diverse as the Blue Note (New York, Milan, and Tokyo), Carnegie Hall’s Zankel Hall, Boston’s Museum of Fine Arts, Chicago’s Museum of Contemporary Arts, the Philadelphia Museum of Art, the Detroit Institute of Arts, the Walker Art Center, the Getty Center and London’s Barbican. He received a lifetime achievement award from the Smithsonian Associate in Washington DC in 2003 for his contribution to the development of Latin jazz in the United States, as well as a nomination from the Jazz Journalists Association for Latin Jazz Album of the Year in 2005 for his recording ‘Mulatos’. Some select career highlights include receiving a commission from the Barcelona Jazz Festival, in 2009, to present a tribute to Miles Davis’ ‘Kind Of Blue’ recording, featuring Afro-Cuban interpretations of the seminal Davis work on the occasion of its 50th anniversary. Mr. Sosa’s recording career has continued with the release of no less than 22 CD releases, resulting in five GRAMMY nominations. These include a 2002 GRAMMY nomination and Latin GRAMMY nomination for Best Latin Jazz Album for the CD ‘Sentir’; a 2005 GRAMMY nomination for Best Latin Jazz Album for the CD ‘Mulatos’, featuring Cuban saxophone and clarinet master, Paquito D’Rivera; and the two nominations for ‘Across The Divide’ in 2009. Omar continues to works with an array of African, Arabic, European, Indian, Latin and North American musicians. Trust me, he’s worth the listen and experience. It’ll move you in a way words will fail, but your heart will be full to overflowing. Go forth and consume. Robin is one of Cape Town’s truly great singer/songwriter and guitar players. A masterful entertainer with the songs, voice and chops to back it up, Robin has recently returned from another successful UK stint, where he played to sell out houses and great acclaim. To Book: Call 021 685 7377 – No email bookings. Please specify dietary requirements upon placing your bookings.